The newest-released iPhone 7 will probably get a higher resolution display, specifically a QHD one with a resolution of 2560 x 1440 which will also match the resolution of the Galaxy S7. It is the biggest merit for playing DVD on iPhone 7 Plus and its aspect ratio still remains 3:2. 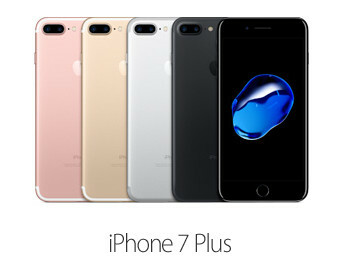 A versatile DVD to iPhone 7 Plus Ripper will be a nice choice for you – Any Video Converter Ultimate. 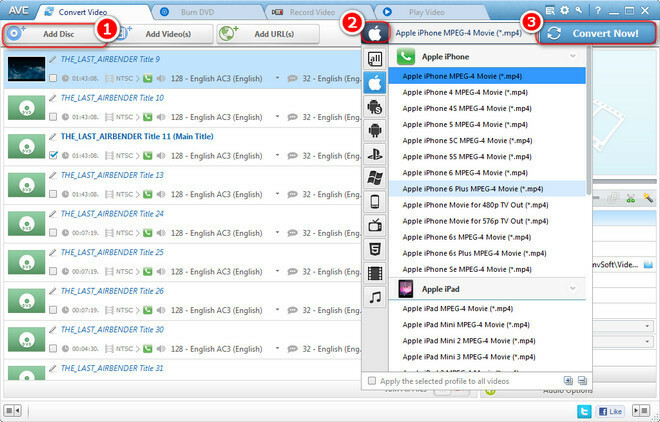 Both of Windows Version and Mac Version for this iPhone DVD Ripper are all available, we will take the Windows version as an example in this guide. Put the DVD disc to your computer DVD driver. Click Add Disc button, then a dialog will pop up, just press OK button, all DVD files will be loaded from your DVD to the DVD iPhone 7 Plus Ripper. Click "Apple" icon from the profile, a drop-down list will unfold, just select the format you need to convert for your newest iPhone 7 Plus. Step 3. Start ripping DVD movies to iPhone 7 Plus.